You don’t want to spend a lot of time on your hair to get the look you desire. And don’t want to have to use a lot of fancy products to get that look. You want something that’s simple, dependable and doesn’t require a lot of fuss. You want a hair pomade. Hair pomade is the classic mens hair product, going back to before the 20th century. Traditionally it was a greasy or waxy substance that gave hair a slick, shine look without drying it out. Ingredients included animal fat, bees wax, and petroleum jelly. That tradition is now history. The modern hair pomade is a whole different beast. Innovators in the barbering and hair care businesses have produced updated versions that maintain all the benefits while making them easier and more pleasant to use. Many are water-based, meaning they are easier to wash out. Hair pomade is a versatile grooming product that is easy to apply. Since it has a strong hold with medium to high shine, a multitude of looks can be achieved by using it. These looks can be divided into two major categories – shiny or matte. To achieve a slick, shiny look, pomade should be applied to wet or damp hair. To achieve a more disheveled, matte look, pomade should be applied to dry or nearly dry hair. Style your hair as desired, and you’re set for the day. There are numerous high-quality hair pomades on the market that will get you the look you want. 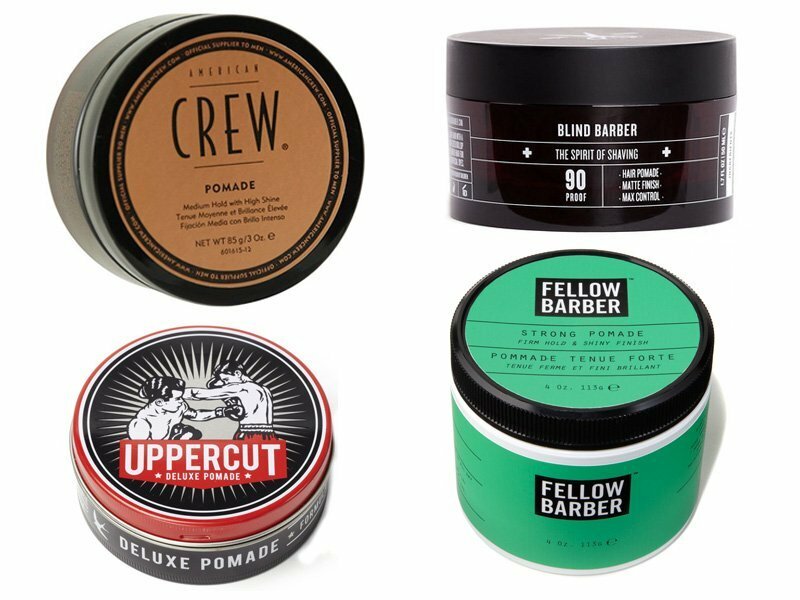 Here’s our list of the best hair pomades on the market. Suavecito is a California based company seeking to promote and spread barber culture. They feature barber products combining the best of tradition and innovation. 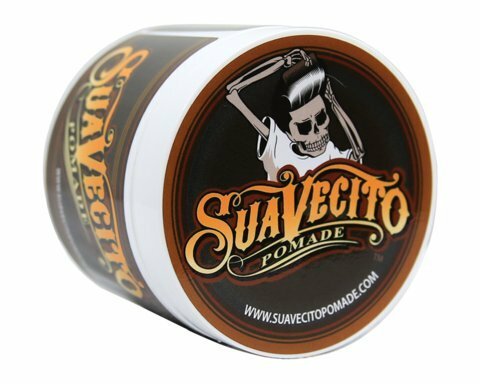 Suavecito Pomade has a creamy consistency and strong grip. Since it is water soluble, you can out easily in the shower. You will like its light, clean, and appealing scent. 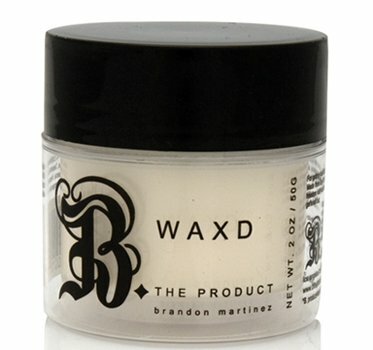 This pomade has a moderate shine but you can create a wet look with the use of a little water during application. It is available in two varieties. Original Hold Pomenade dries with a medium hold; Firm Hold Pomade dries with a maximum hold. Probably one of the best hair pomades around on the market. American Crew calls itself “The Official Supplier to Men,” as they exclusively make superior professional grooming products for men and are featured in many top salons. Men’s Health, Men’s Fitness, and GQ Magazines have recently named their products award winners. This year they are paying homage to an enduring American symbol of the ultimate classic man – Elvis Presley. That man wore pomade in his hair. 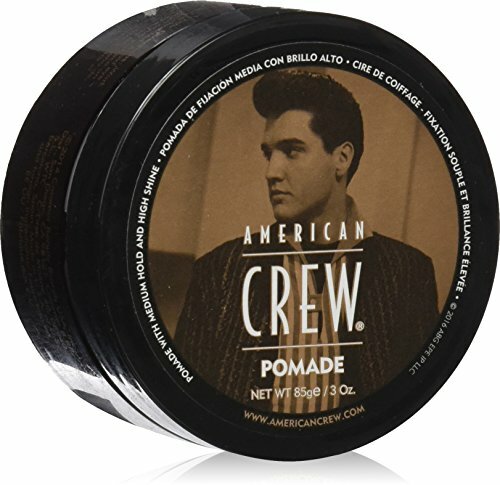 American Crew Pomade can be used on both curly and straight hair and dries with a medium hold and high shine. Its water-based formula is easy to rinse. And it has a distinctive woodsy scent. Imperial Barber Products was founded in 2009 by two master barbers who, after years working in New York, London, and Los Angeles and not finding a barber product completely to their satisfaction, decided to create their own products. 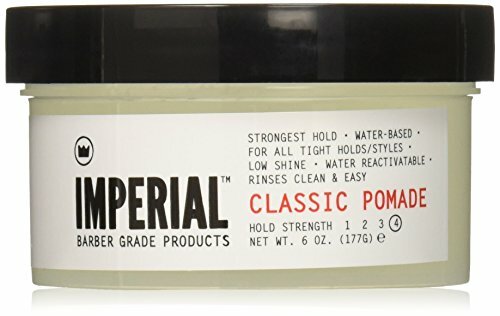 Imperial Classic Pomade is a water-base product that gives an industrial strength hold with a semi-sheen. This hold can be adjusted depending on how much water is in your hair. For a lighter hold, apply on damp hair or with water. For a firmer had, apply on dry hair. Best of all, your hair can be easily restyled. This product is easily reactivated by adding a bit of water, so you can easily change your look after work for a night on the town. Prefer a lighter hold with no shine? Then try Imperial Matte Pomade. Axe makes a full line of men’s grooming products that are said to have the “AXE Effect” that acts as a magnet draws girls to a guy when he enters a room. Why not see if you can have the “effect?” Axe Clean Cut Look Pomade is good for short to medium-length hair. It gives a medium hold and shine finish and works well with other Axe hair products to create a clean, classic look. Retro or modern, that look can be whatever you desire. And don’t forget that intoxicating Axe scent. Layrite’s development dates back to 1999 when its creators opened a barber shop that catered to a crowd with a rock-a-billy sensibility. That meant dealing with a lot of hair caked with greasy styling product. 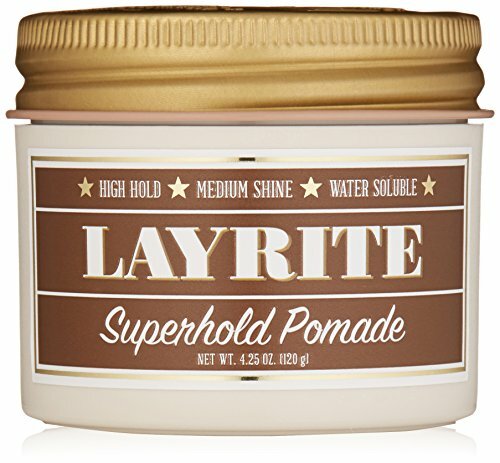 They decided to do something about that and developed the water-soluble Layrite Pomade. It works on all hair types and textures from thin and straight to thick and curly and can be used to create a variety of styles from a classic businessman’s look to a DA and even a mohawk. There is no limit. Since Layrite is water-soluble your hair can be easily restyled and the product can be easily washed out. It comes in two holds – Original and Superhold. Both have a clean vanilla scent. 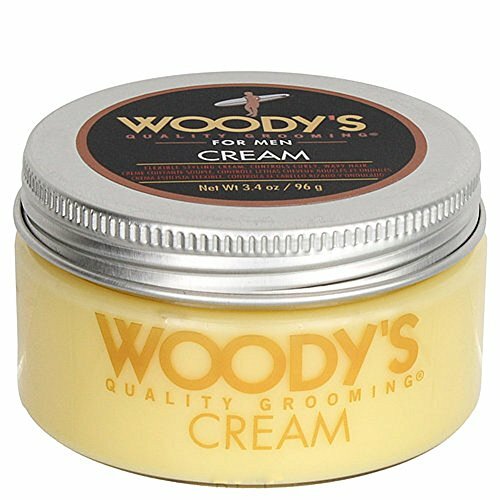 Woody’s Quality Grooming offers no-frills, high-quality products for the man who wants his daily routine not to be a chore. By working with celebrity barbers and stylists to find what a man really wants and needs in his grooming regimen, Woody’s achieved these ends. Woody’s Pomade for Men is a water-based product for normal hair that gives a man all the hold, flexibility, and shine he needs. It is so easy to use that it can even be removed without shampoo. Smooth Viking might have built their reputation as a company focusing on beard care, but that doesn’t mean they don’t know a thing or two about hair. 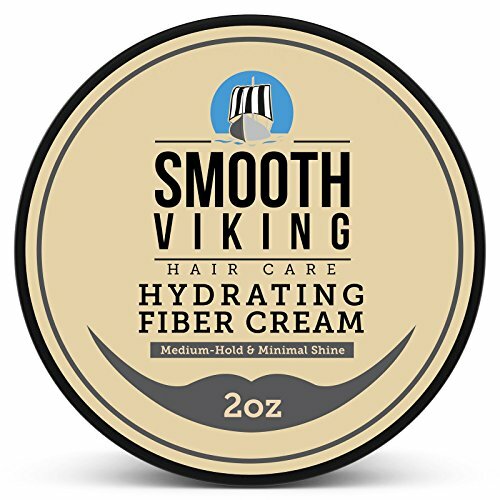 Smooth Viking Haircare Pomade is a water-based product that that has a medium hold and supreme shine to create any look you’re looking for. And it is easy to rinse out! It can be used on dry hair to create a matte look or on damp hair to create a sleek look. It works on any type hair – thick or thin, curly or straight, classic or modern. 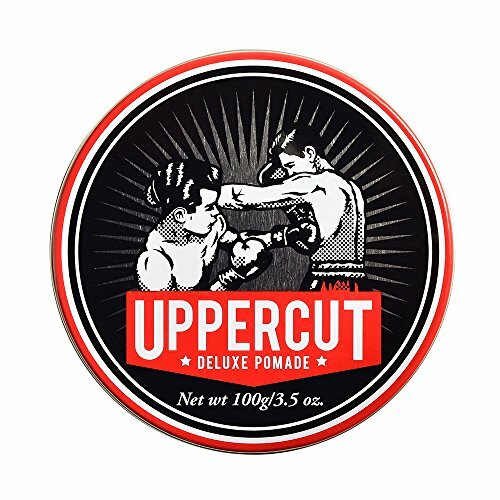 Uppercut Deluxe Pomade comes from the down under of Australia but has its roots in America’s Pacific NorthWest. It was created by childhood friends who share a love for surfing, skating, and the local barbershop. This is no beauty salon inspired product. 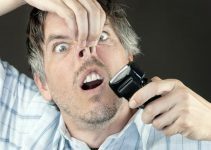 Its creators are barbers who know what men appreciate and were frustrated using products they deemed better suited to their customers’ wives. This pomade is water-soluble. It has a medium/strong hold and medium shine, making it perfect for a variety of styles. It has a light coconut/vanilla scent that is subtle but appealing. Baxter of California started in 1965 with the goal of offering quality products to men. Their first product was a men’s skin conditioner to counter the ravages of sun and sea. 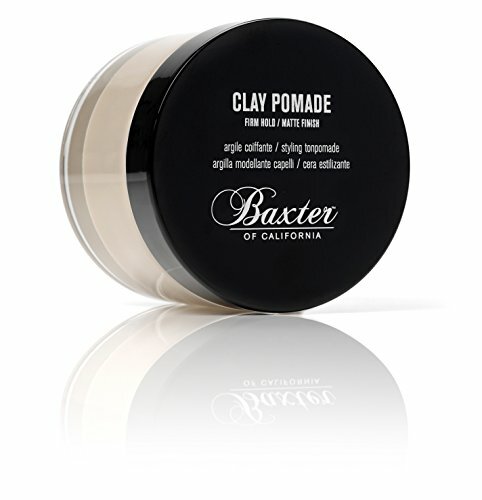 It was a big hit, and more products followed, including Baxter of California Clay Pomade. This humidity-resistant product has a strong hold and matte finish. It was named best hair wax by Details magazine in May 2012. Old Spice products have been a favorite of men for generations. Your father and his father probably used them. There is something reassuring about the man who uses Old Spice. Today their products still speak to the masculine traditionalist who wants something clean and simple. Old Spice Spiffy Sculpting Pomade is the hair product for this man. This product has a moderate hold and matte finish. And it has that great Old Spice scent. Suave has been making reasonably priced, high-quality family grooming products for over 75 years. The products in their men’s line rival the products in fancier lines that cost much more. Suave Men Heritage Edition Classic Styling Pomade is a soft product that provides excellent molding and definition. 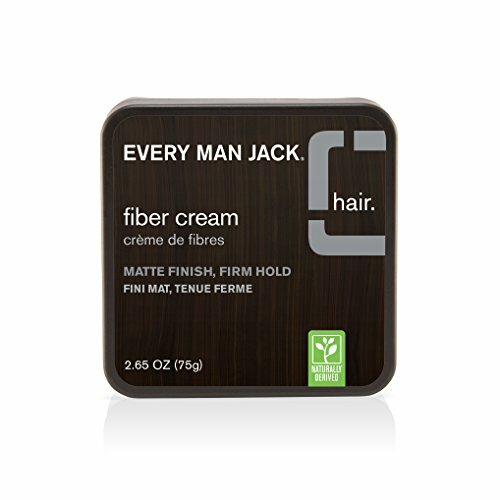 Every Man Jack is a mens-only line of affordable grooming products made with naturally derived ingredients. You won’t find any harsh chemicals or artificial substances here. And they are never, ever tested on animals. Every Man Jack Pomade has a high shine, soft hold and can take care of both curls and texture. Its light Signature Mint scent is clean and fresh and does not overwhelm the senses. Redken offers a full-line of grooming products that are used in many top salons. They also train many of the star stylists in these salons in the latest in cutting-edge hair design. How could they not make a top-notch product? 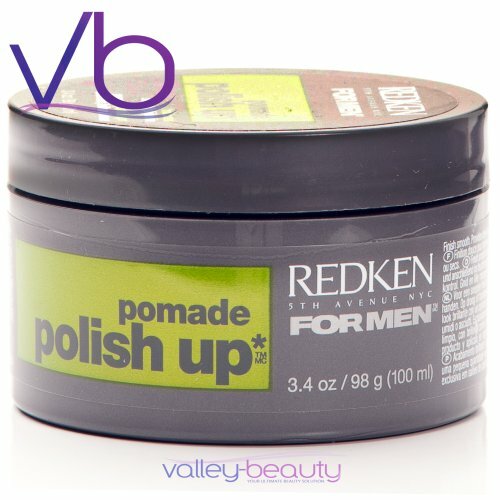 Redken for Men Pomade Polish Up is a lightweight product that moistures and offers mild control with sleek style and high shine. Its water-based formula is easy to wash out. Paul Mitchell products are used and sold at many high-end salons. Recently their product line has expanded to include one exclusively for men. Hair products in the MITCH line are designed for the modern man by combining technology and high-performing ingredients with the latest trends. The MITCH man is on the cutting edge of work, play, and fashion. 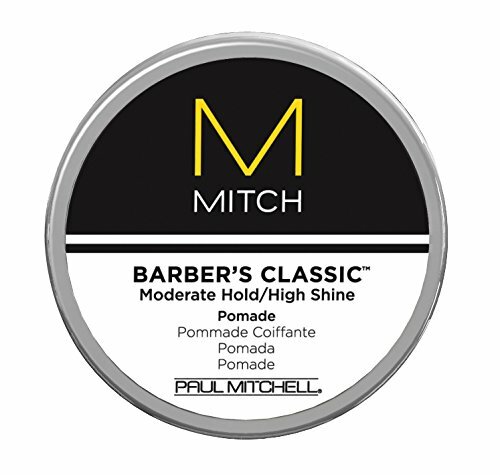 Mitch Barber’s Classic Moderate Hold/High Shine Pomade creates a slick texture and definition with a high shine. Want to look great with little fuss? All it takes is a quick application of hair pomade for men to create whatever look you want. With so many many quality pomades on the market, you’re to find one right for your hair.